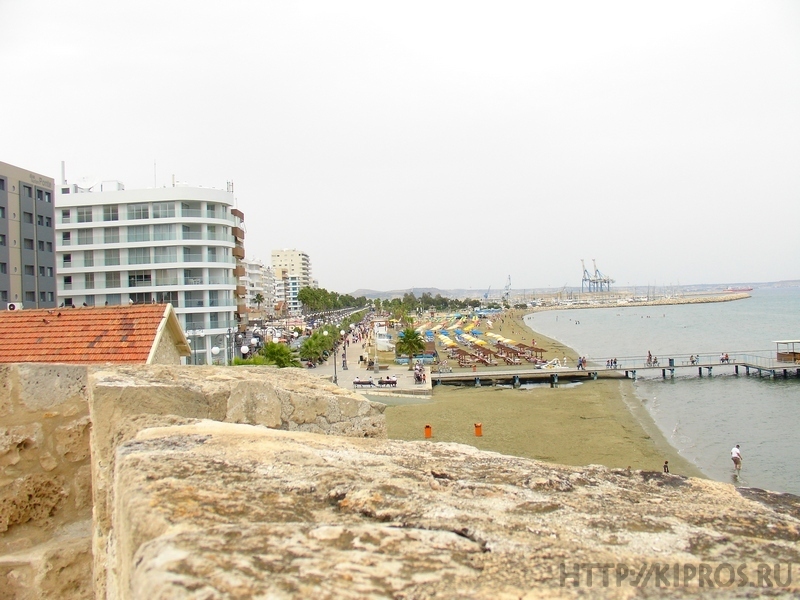 The Castle of Larnaca is located at the southern edge of the coastal avenue of Larnaka, known as Foinikoudes. 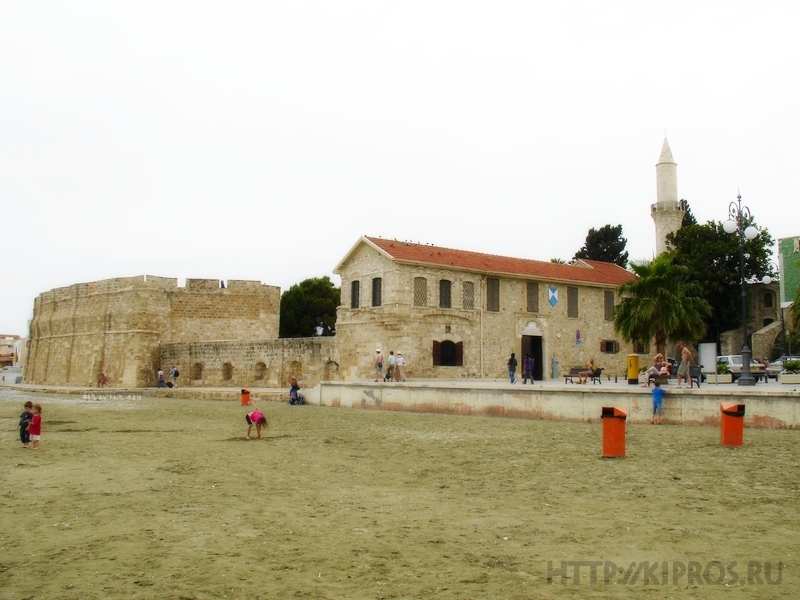 Abbot Giovanni Mariti, who lived in Larnaka during the first half of the 18 century, records that the Castle of Larnaca was built by the Ottoman Turks but was already in a semi-ruinous state at the time, even though a garrison was still maintained there. 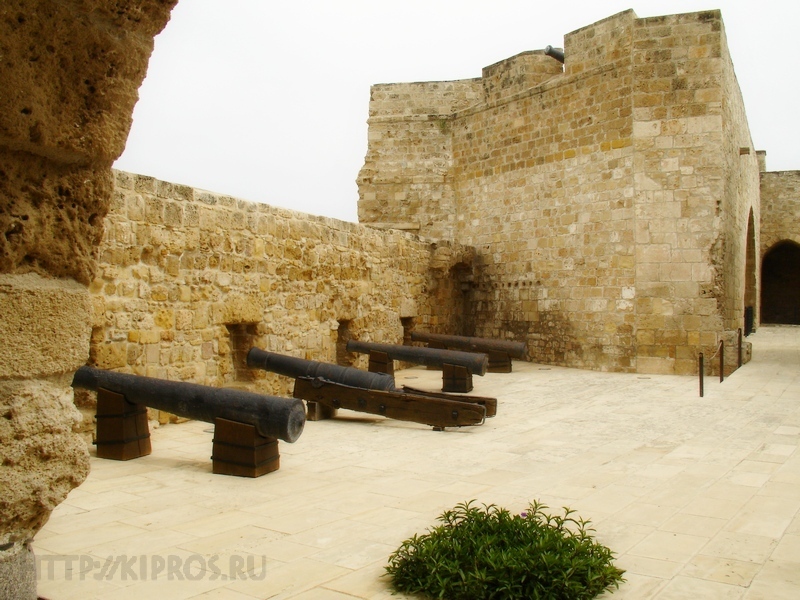 He also writes that the castle was mainly used in the same period for the firing of gun salutes to Christian warships. 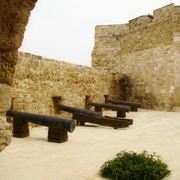 According to order written sources, such as those of Florius Voustronius and Jauna, the castle is dated to an earlier period, during the years of the reign of King James I (1382 - 1398) of Cyprus. 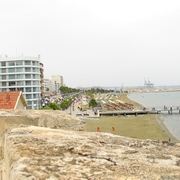 These source mention that the castle was constructed to protect the harbour of the town which, following the capture of Famagusta, was used as the main port of the island. 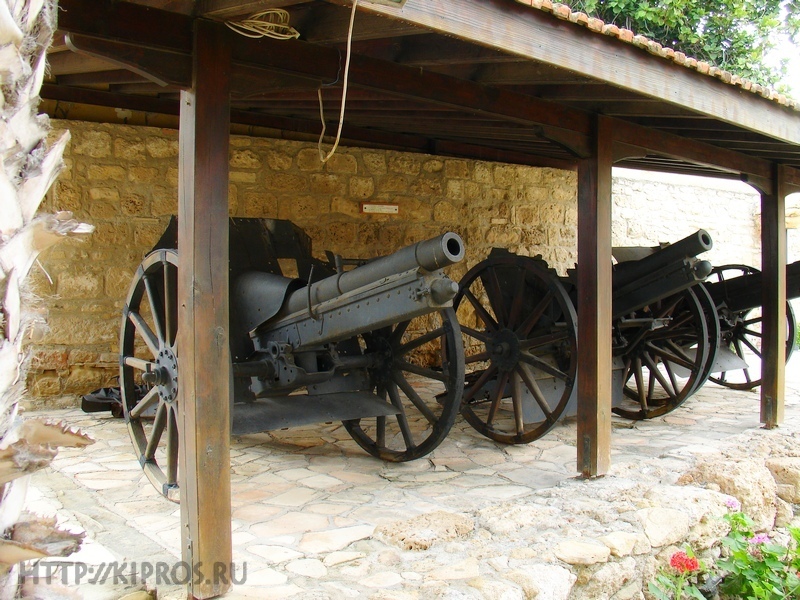 Other references by travellers confirm that the castle had already been constructed before 1625. Nothing is known about the plan of the 14 century castle. It was certainly larger than the present edifice, as was noted during conservation and restoration of the monument when foundation of an earlier phase were discovered that extended to the north and southwest under the road. The construction method of the older phases in the south and east wings of the castle today and the form of the arches in the latter wing indicate a 14 centure date. 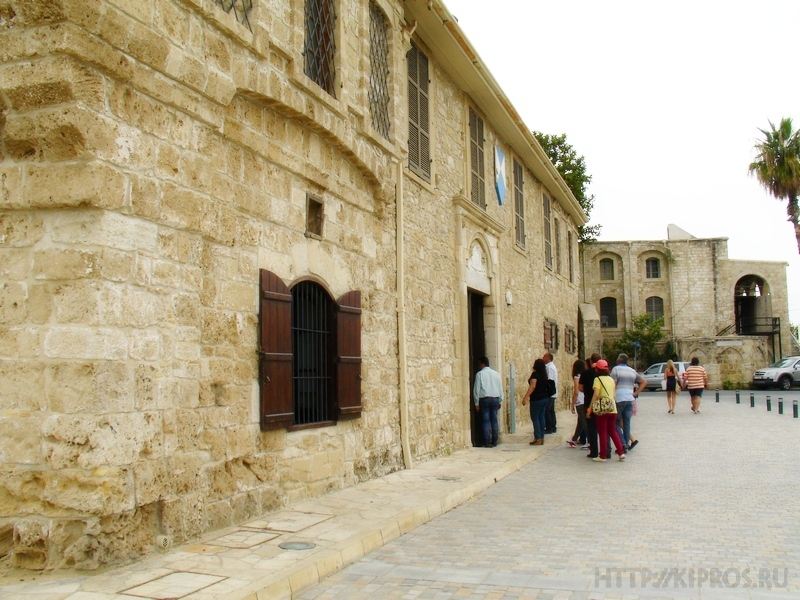 The north side of the castle consists of a two-storeyed building, which was constructed during the Ottoman period, as indicated both by its architectural style and a Turkish inscription above the entrance. 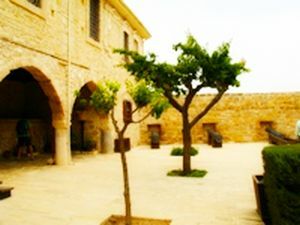 There are two rooms on the ground floor in the east and west parts, connected by a porch which in turn opens into an interior courtyard. 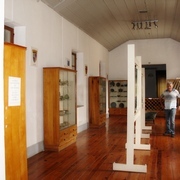 The western room of the ground floor in the east was used for the execution of prisoners by the British in the Colonial period. The gallows had been constructed in the room and were in use until 1948. 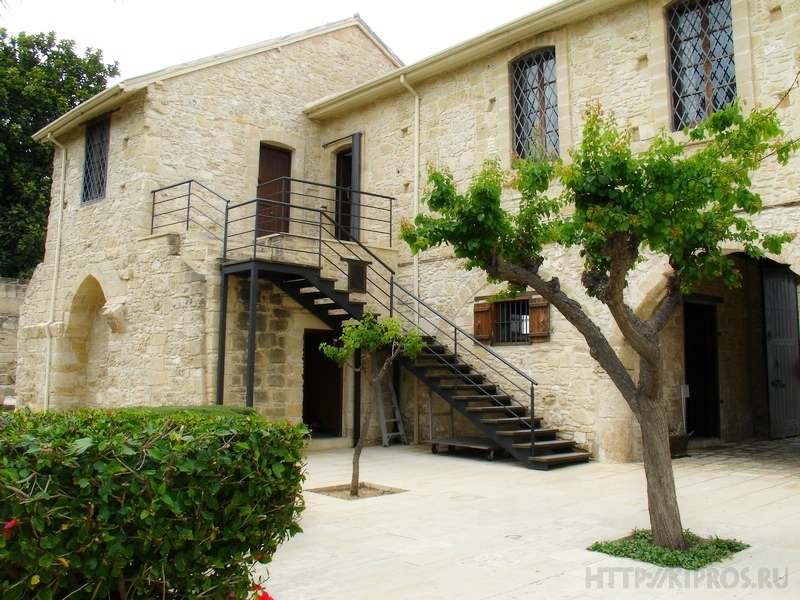 Access to the upper storey, which houses the District Medieval Museum of Larnaca, is via a metal and wood staircase that runs along the west inbuilt arch of the porch. 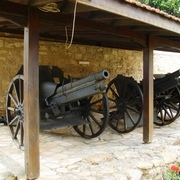 In the northern half of the east side are exhibited a number of cannons, some of which date to the Medieval period. The southern half of the east side, belonging to an earlier phase, consists of a structure that forms a semi-circular apse on its interior while on its exterior forms a rectangular structure. 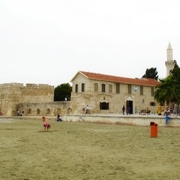 Tombstones are displayed here that are mainly from gothic churches of Lefkosia and date from the 14 centure A.D. The south side of the castle, also belonging to an earlier architectural phase, consists of a series of rooms covered with a pointed arch. 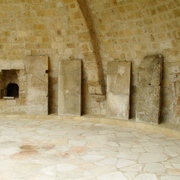 In the first two rooms continues the exhibition of tombstones and later inscriptions. 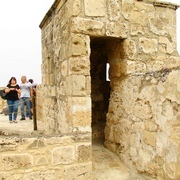 In the westernmost room the visitor can see remains of the oldest phase of the building. A built staircase at the western edge of the south wing of the castle leads to the flat roof of these rooms as well as to the top of the southeast tower. 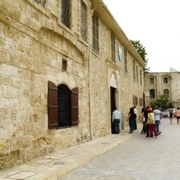 These older sections are joined to the main building of the entrance by a high wall. 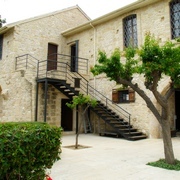 The Museum, which is located on the upper storey of the main building directly above the entrance of the Castle the Larnaca, consists of four rooms. On ascending the staircase, the visitor enters Room I where various architectural members mainly from Early Christian basilicas in Cyprus (4th - 7th centure A.D.) are on display. A small corridor leads to three consecutive rooms. In the first room on the west side (Room II), antiquities of the Early Christian period are exhibited (4th - 7th centure A.D.) including gypsum decoration from basilicas, clay lamps, glass and clay vessels, stone bread stamps and marble inscriptions. 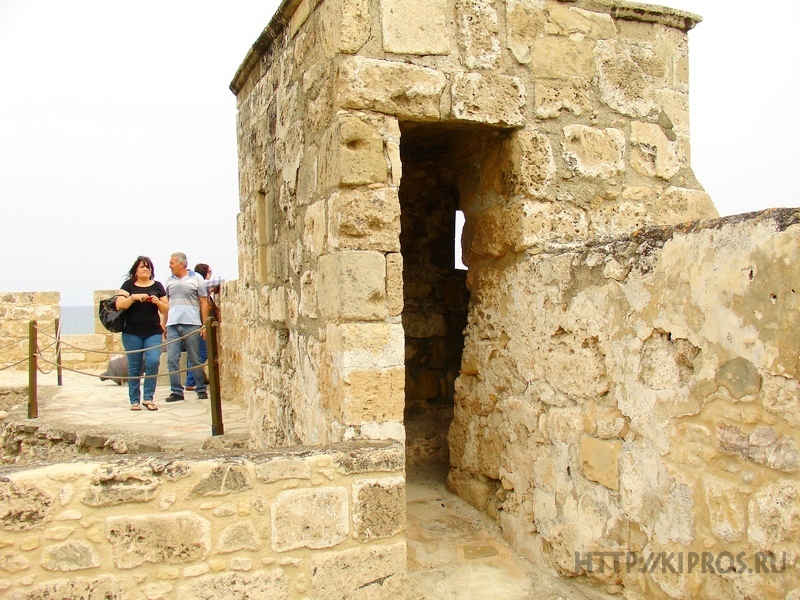 There is also photographic material of the Early Christian, Byzantine and Medieval monuments of Cyprus from the 4th - 16th centure A.D. 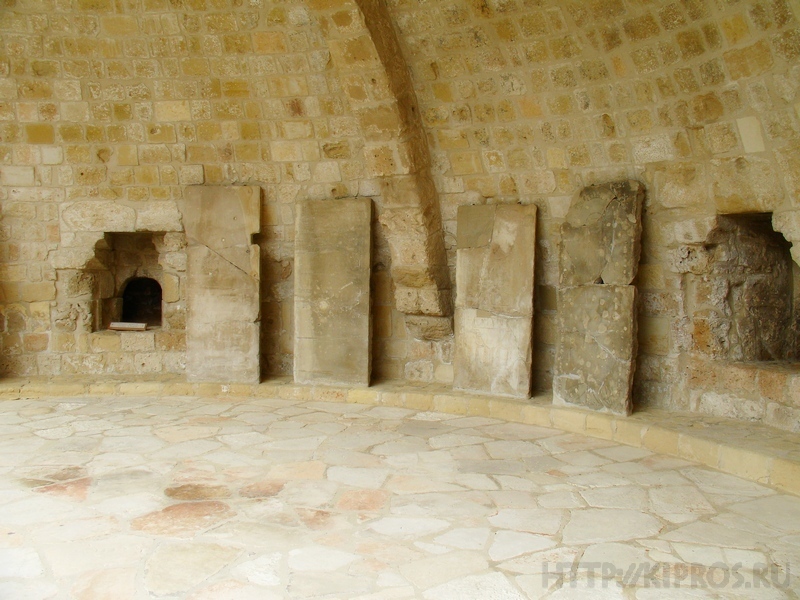 In the small center room (Room III), one can see photographic material of Cypriot Byzantine wall-painting dating from the 11th to the 16th century A.D. 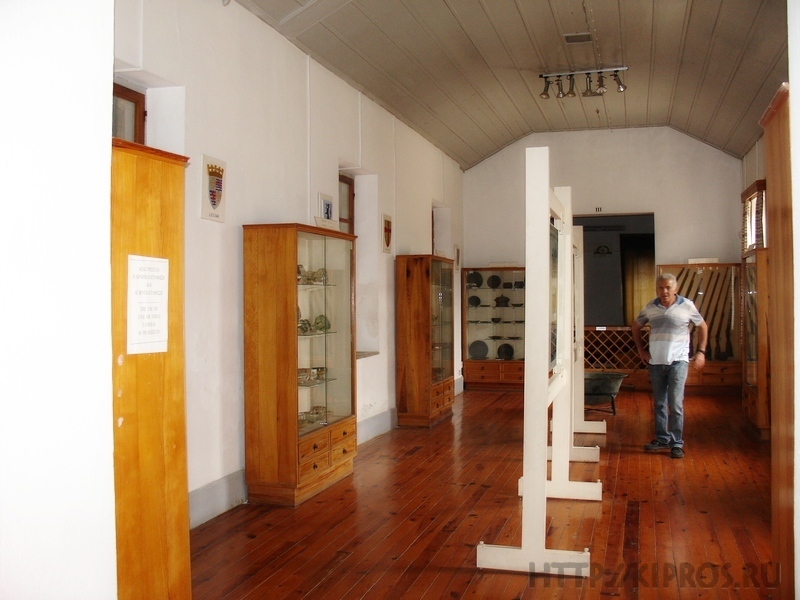 The interior court of the castle is used during the summer months for various cultural events, which attract a great number of people, especially foreigh visitors.